» What are the Best Backpacks for School in 2019? The average person spends around 20% of their lifetime in school. That’s a lot of time, considering that we start going to school at age 5 or 6, and continue into our early 20’s. But others pursue further studies, and continue going to school for the rest of their 20’s. Given how much time we spend in school, it’s only right that we invest in a backpack that makes our load easier to carry – both literally and figuratively. As a student, it wouldn’t be wise to have a backpack that is inadequate in size, thereby causing us more stress each time we have to pack our school items day in and day out. It also isn’t safe to use a backpack that isn’t made to be comfortable, because the strain in our backs and shoulders can build up over time. This is why it’s important to choose the best backpacks for school, no matter which stage we are in our education. You’re probably one of the many kids out there who spent their early summers shopping for school bags with their parents before each school year. You know just how many overwhelming choices there are in the market for school backpacks, and this is a choice you have to make year after year, until you’re done with school. This decision can be made even more difficult if, halfway through the school year, your bag breaks down and you need to buy another bag. You probably can’t help but wonder: What exactly do I need in a school backpack? We’ve heard you. To make the search easier, we’ve sorted through all the school backpacks in the market to review them and help in narrowing down your search based on your needs. 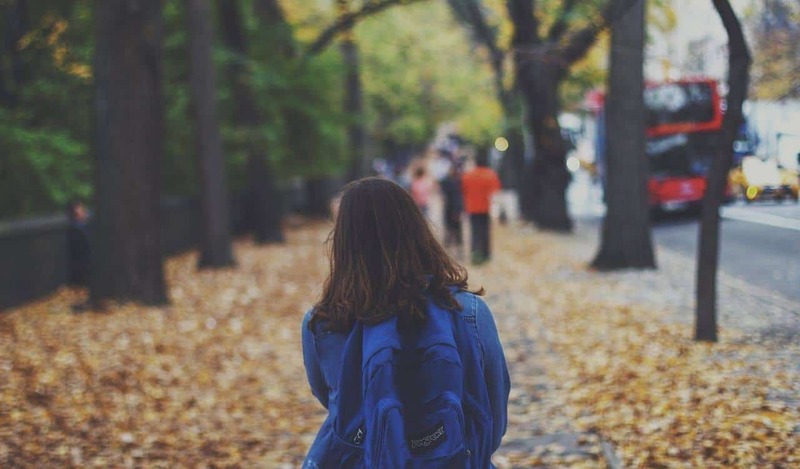 We know the plight of the student, no matter what age; and for you, we’ve created this useful buying guide to help you choose a suitable school backpack with the features that will make this stage in your life more bearable. Aside from showing you the top-of-the-line school backpacks out there, we’ve also created a guide to discuss the features you should look out for in every school bag. So whether you need a bag for preschool or university, we’ve got your needs covered. There are easily thousands of different models of school backpacks out there. We know that finding exactly the right one for you is no easy feat. It may be difficult, but not impossible. After carefully reading the reviews of the best backpacks for school in the market, we’ve come up with a list of the cream of the crop. These are the school bags you should be considering. If you’re on a budget, finding the perfect school bag for your preschooler can be tricky. There are hundreds of models out there that take pride in their appealing prints for boys and girls, but leave much to be desired in the functionality and comfort department. However, the Obersee Kid’s All-in-One Pre-School Backpack ticks all the right boxes. This kids’ backpack has just the right amount of space for carrying a preschool student’s belongings while helping them stay organized. It measures 14.5 x 10 x 5 1/5 inches, and features interior pockets and a spacious main compartment that can fit standard-sized school folders. The interior slots and compartments are designed to neatly store pens, pencils, and other school supplies, plus the handy front pocket makes it easy to reach for other essentials such as coins and keys. The Obersee Kid’s All-in-One Pre-School Backpack is equipped with an insulated front pocket for storing a lunch box, and it also has a drink pouch on the side for a water bottle or thermos, so there is no need to carry another lunch bag. The breathable mesh lumbar straps and ergonomic padding ensure maximum comfort even when the bag is filled to capacity. Its straps can be adjusted anytime to accommodate growing kids, while the chest straps make sure that the bag is always securely held in place even when it’s used over thick winter jackets. Storage is made easy with the Obersee Kid’s All-in-One Pre-School Backpack too, thanks to its convenient loop located at the top of the bag, so you can keep it on a hook whenever it isn’t being used. 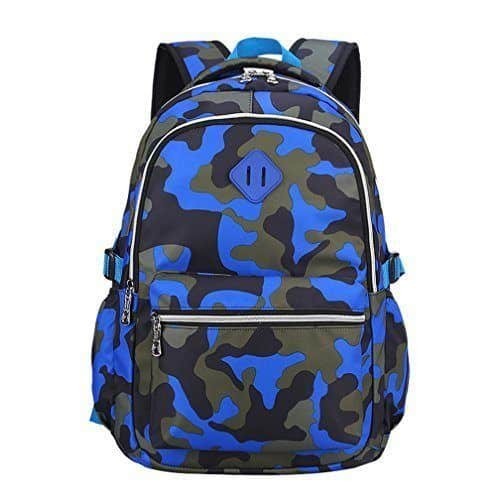 The bag is made using durable polyester material and comes in funky designs for both boys and girls, plus all the convenient features that they need. It’s ideal for active kids aged 3 and up, and it meets FDA and CPSIA requirements so you can be sure that your child is using a safe and highly functional bag. Considering its great price points, cute designs, terrific functionality, the Obersee Kid’s All-in-One Pre-School Backpack is an excellent buy and it can even double as a hiking backpack for kids who love the outdoors. When it comes to back-to-school shopping for your toddler, the biggest investment you can make as a parent should be the right bag. After all, it will be the most hard-working item in your shopping list. Preschool kids rely on their bags to securely carry their belongings to and from school; it also needs to withstand daily wear, rough treatment common from children, and locker storage. The Boence Kids Backpack does all that and more. This backpack is rich in features that preschool kids will appreciate. It also has an important safety feature that will put parents’ minds at ease: a detachable safety harness 35 inches in length which prevents toddlers from potential injuries or falling. This harness comes in handy during unexpected moments at the airport, museum, parks, or other crowded places. Active kids will also benefit from the Boence Kids Backpack’s durable and water-resistant eco-friendly polyester fabric. While it isn’t completely waterproof, it’s definitely good enough to withstand sweat or accidental spills. More importantly, this backpack helps your toddler keep their things neatly organized, thanks to the several spacious compartments for storing pens, notebooks, snacks, and other belongings. Valuable small items can also be kept in the side slip pockets found in the backpack’s exterior. The Boence Kids Backpack comes in two sizes to accommodate preschoolers of varying ages and needs. 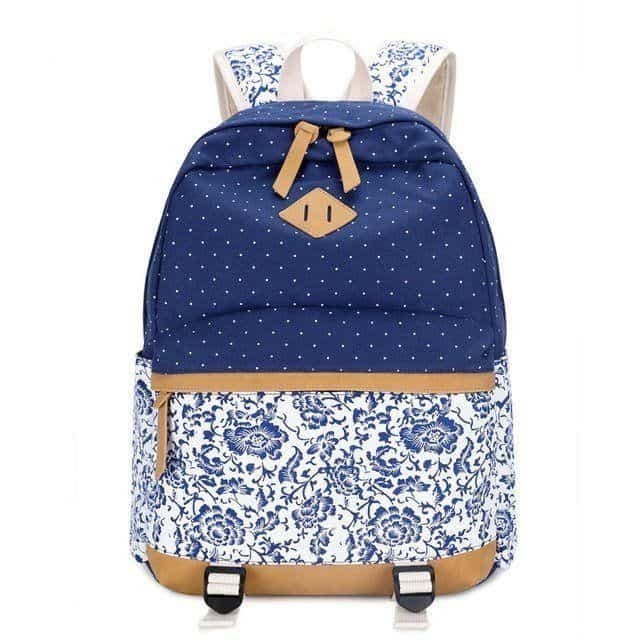 The small-sized backpack (8.3 x 6.7 x 3.1 inch) comes with adjustable straps, while the medium (12.6 x 9.4 x 4.3 inch) backpack has padded adjustable straps plus an interior pocket for a laptop or tablet below 13 inches in size. It comes in several vibrant colors that kids will surely love, and its simple design means that it will never go out of style no matter who the trending cartoon character of the moment is. Weighing just 9.9 ounces, the backpack is extremely lightweight, so you can be sure that it won’t add a burden to your kids’ shoulders even when it’s packed with heavy books and notebooks. The backpack is also versatile enough to be used during the weekends, holidays, or summer breaks. 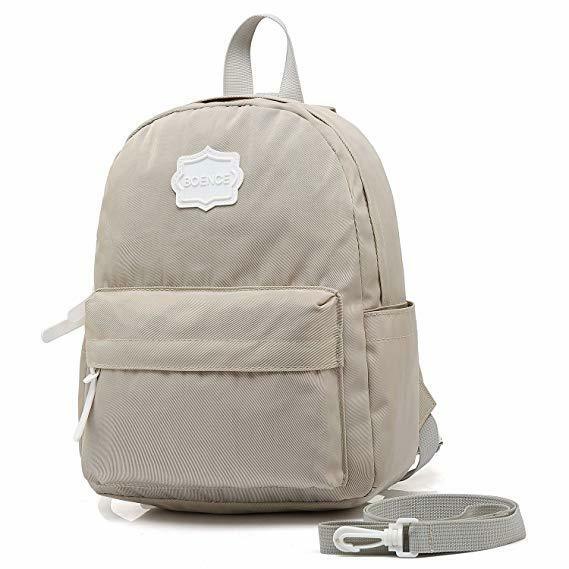 As a bonus, it’s also incredibly affordable, so if you’re looking for an inexpensive yet high-quality backpack for your toddler’s use in and out of school, look no further than the Boence Kids Backpack. If you’re looking for a high-quality backpack that you can use for school, this backpack ticks all the boxes. It’s equipped with several pockets to help you stay organized, so you no longer have to waste time arranging your books, notebooks, tablet or laptop, pens, and other school necessities. It seems as if the BAIDA Backpack was made with the busy student in mind; it even comes with a convenient front pocket so that you can easily access your essentials within seconds, which comes in handy when you’re commuting or walking home. This school bag comes with generous space. At a size of 11.8 x 15.9 x 5.2 inches it can fit a large tablet or a 14-inch laptop; plus, it has several pockets that let you seamlessly organize chargers and cables. Another thoughtful feature is its lightweight fabric; the BAIDA Backpack is made of durable oxford fabric and is lined with soft polyester, making it light but heavy in function. 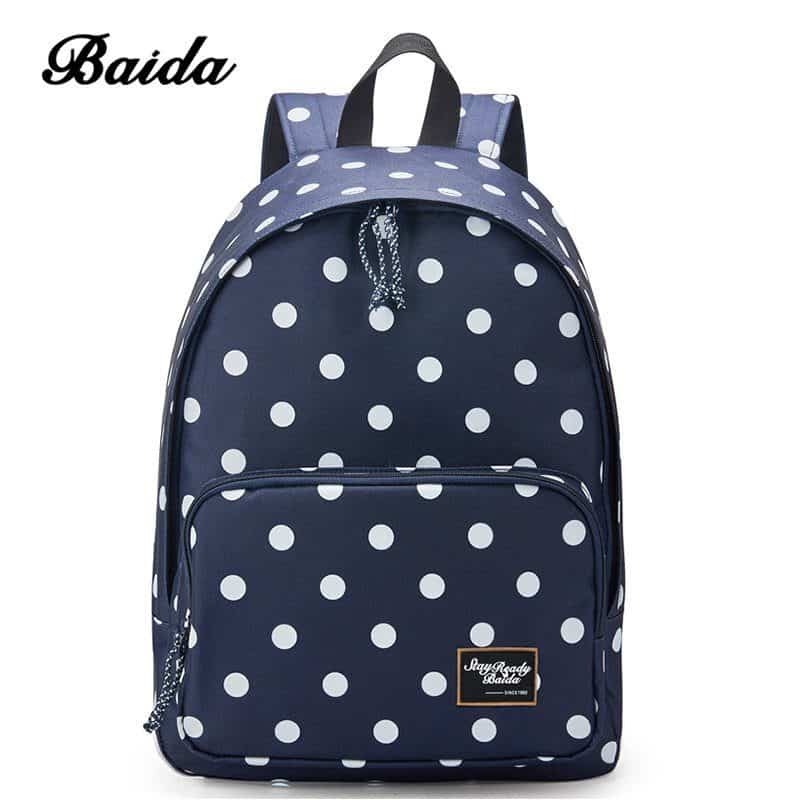 The BAIDA Backpack is ideal for older elementary and middle school students, although if you aren’t carrying too many books, it could also be used by high school students. However, if you have a larger laptop, you may need a larger backpack. If you do need to carry a significant load of books and notebooks, you’ll be glad to know that this bag is equipped with comfortable padded back panels to encourage good posture while reducing strain from the weight. The adjustable padded straps help prevent further stress from your body, allowing you to take it with you wherever you need with comfort and ease. As a bonus, this bag is also affordable, so it won’t make a dent on your school allowance. If you’re looking for a backpack that’s big on style without sacrificing functionality, the Abshoo Canvas Backpack is an excellent contender. It comes in a lot of great vibrant colors that are perfect for young kids, with cute prints on high-quality canvas material. The backpack’s dimensions are 12.2 x 6.3 x 17.3 inch, and its capacity allows you to carry several notebooks, a binder, books, A4 documents, and magazines inside as well as snacks, electronics, and other personal belongings in the zippered pockets. The spacious capacity also lets you store PE clothes together with your school items. Its three small pockets inside allow you to organize tiny items that tend to get lost, allowing you to stay organized no matter where you go. The 2 side pockets are perfect for stashing your umbrella or water bottle, too. And that’s not all this can hold: the Abshoo Canvas Backpack comes with one shoulder bag and a pen case, which can alternatively be used as a coin purse. The shoulder bag can also be used as a toiletry kit or lunch bag, if you don’t mind lack of insulation. Although this bag is simple, it’s has everything you need for carrying your daily necessities to and from school with ease and comfort. It’s also multi-purpose: when summer’s here, you can use it for shopping and for short excursions. With so many satisfied reviews with this bag, it’s no surprise that even adults are buying it because it’s simply so handy. The Abschoo Canvas Backpack also has a very competitive price, so parents don’t even need to think twice about buying this for their kids. As a whole, this bag is a wonderful and affordable choice for middle school kids. It would be too small for high school and university school students, but perfect for the younger generation. Students that require a backpack that’s heavy-duty in form and function need to look no further than the Macbag School Backpack. This bag is highly recommended for primary and middle-school students with a busy schedule. If you have a lot of extra-curricular activities that require you to spend long hours completing other tasks, you can count on this bag to be there for you. At a size of 11.8 x 5.9 x 18.11 inches and weight of no more than 0.64 kilograms, this lightweight backpack won’t be a burden to carry. It comes in a casual design with prints available for both boys and girls, but what sets it apart is it’s one of the best multi-purpose daypacks that will last you long beyond your school year is over. The Macbag School Backpack is made from premium tear-resistant nylon fabric that can withstand tough conditions and long days of use. The fabric has been engineered to resist wear and wrinkles, all while being easy to wash and waterproof. 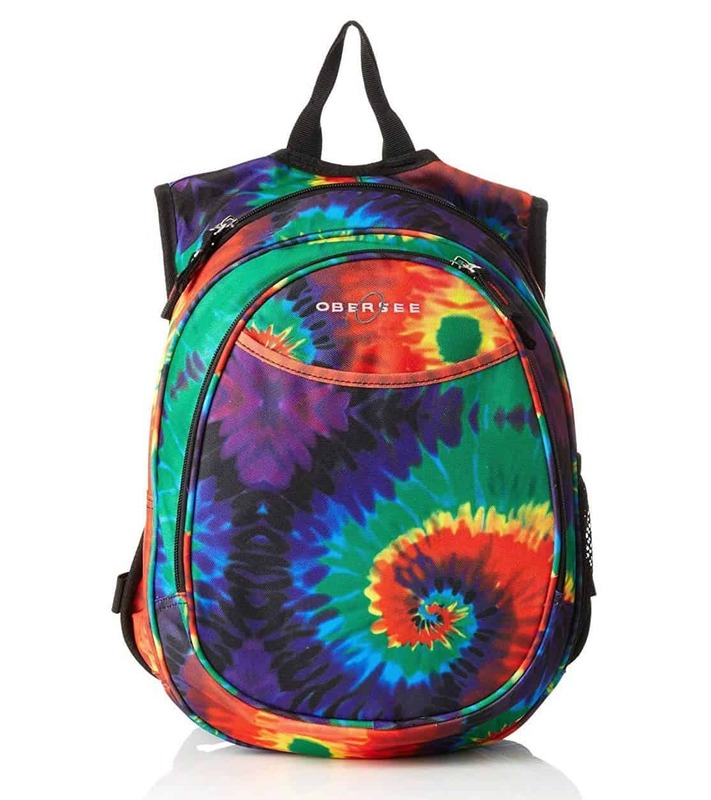 It comes in bright, vivid colors so that your bag stands out, and you can easily identify them from a pile of other similar designs in school. Inside the backpack, you’ll find substantial space in the main pocket, several smaller pockets, and 2 mesh side pockets. It has more than enough for daily school needs, and you won’t have to worry about replacing it anytime soon because it’s so durable. The ergonomic design and adjustable padded reinforced straps almost make this bag feel like clouds on your shoulder. Plus, its small yet useful features go a long way: the PVC handle and metal handle makes handling and opening it easy while preventing breakage. It’s already equipped with a spacious capacity but it also comes with a multilayer design, allowing you to easily pluck your school items out with ease. Kids and teens alike also appreciate the padded straps. According to some reviews, there were people who found the material flimsy. Just make sure to check it well as soon as you receive it. Other that, most people expressed satisfaction with this bag and its durable quality. If functionality is a priority for you as a student, you can’t go wrong with the Vaschy Unisex Classic Lightweight Backpack. This model is perfect for school, but it’s also versatile enough to use during the weekends when you go shopping or go on a quick hike. It’s made from top-notch water-resistant and lightweight polyester fabric, which makes it ideal for students who have to go on long commutes especially in the outdoors. Just make sure not to expose it to heavy rain. The exterior of Vaschy Unisex Classic Lightweight Backpack is made with a lot of thoughtful features. The reinforced bottom adds extra protection, while the heat-resistant polyester makes this durable for outdoor use. It also keeps you looking cool at school, thanks to the wrinkle-resistant nature of the polyester because it’s immune to stretching and shrinking. When you need to get something inside the bag quickly, the leather handles found on the zippers makes the pockets a breeze to open. Inside, the spacious backpack has adequate storage for a 14-inch laptop or a big tablet on top of 4 interior pockets. Clutter will be a thing of the past with these compartments where you can keep notebooks, your calculator, mobile phone, or other personal belongings. The front pocket has a key nook, which saves you time from looking for your keys. Seamlessly stash your water bottles too on either pockets found on both sides. Given the low price points of the Vaschy Unisex Classic Lightweight Backpack, many of those who purchased this in the past thought that it wouldn’t hold up to expectations. But it’s just one of those school backpacks that under promise and over deliver. It can hold much more than it looks, plus it doesn’t take a burden on your shoulders thanks to its fully-padded back panels. The bag comfortably rests on your back no matter where you take it. 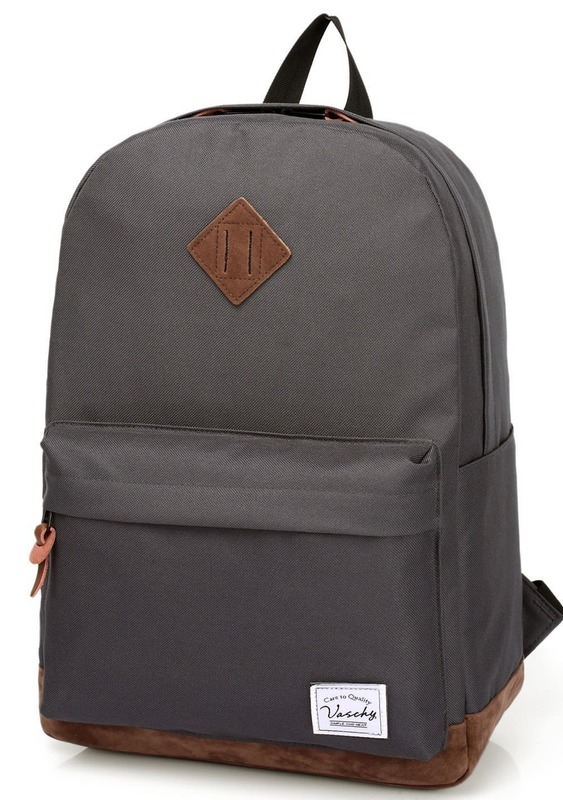 Overall, there’s no doubt that this is one of the best backpacks for general school use out there. While it’s primarily used by students of all ages, its sheer versatility is testament to its superior quality. Students who are serious about practicality and function in a school bag will love the heavy-duty Goldwheat School Backpack. 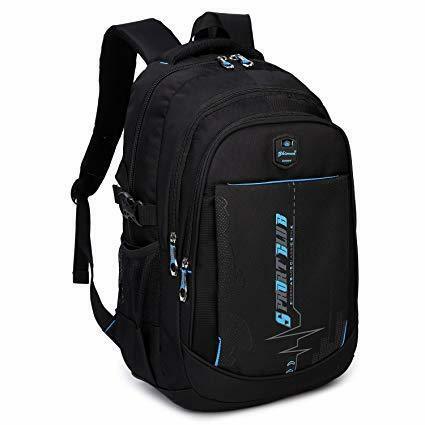 What’s great about this backpack is that it has a strong structural foundation which is evident from its design. It’s constructed out of high-intensity polyester with nylon lining, ensuring that the color doesn’t fade fast and it’s easy to clean all while being scratch-resistant. The bag features one spacious main compartment with a cushioned inner pocket ideal for a 14-inch laptop or tablet, a zipper pocket, plus a front bag that can hold many school essentials such as small notebooks, calculators, wallet, and a smart phone. It’s also equipped with a small zipper pocket in the front plus 2 smaller front compartments so that you can easily reach for essentials without having to open up the entire bag. All the zippered pockets allow you to stay organized without having to worry that your belongings will spill into other compartments. The Goldwheat School Backpack is recommended for high-school and university school students who require more space in a backpack that’s big on function. Simple and hassle-free, but perfect for gadgets, notebooks, and even scarves and a few other essentials that you need to survive a demanding academic life. Considering all that this bag can fit, its weight at 1.33 pounds isn’t bad at all. It allows you to carry an impressive range of essentials comfortably thanks to the permeable padded adjustable straps that are fitted with sponge-like material. It also comes in shades of either black or blue for a professional look that suits both boys and girls. This bag makes being a busy student easy. The comfortable handle makes taking it around easy whenever you need to relieve your shoulders from the burden. The Goldwheat School Backpack is so tough and sturdy that it also doubles as a superior hiking day pack! Given all that, it’s not surprising that so many people are happy with their purchase. Buyers are surprised about how much this bag can actually hold, even if it looks smaller than it seems. So if you need a dependable, high-quality bag, this one is one of the best out there. As we make our way through school, we’ll have different needs when it comes to choosing the right bags. 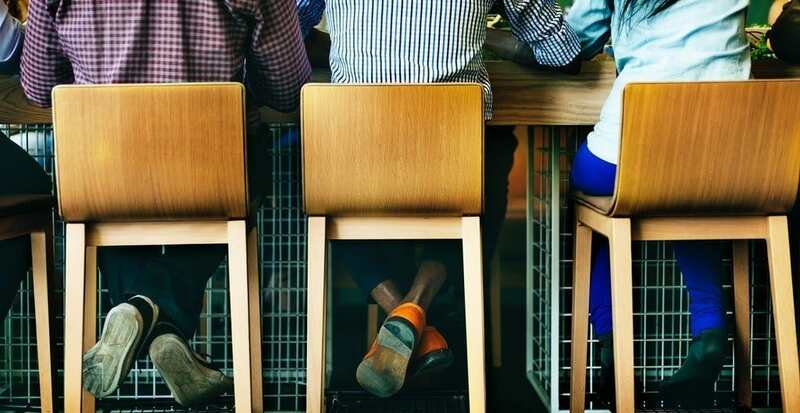 Whether you’re a parent, or a student buying your own bag, understanding the various factors that should influence your purchase can help you make the right decision. Preschoolers should carry a small backpack while older kids will need sturdier bags for more school things. Nursery/Preschool (<5 years old): Small backpacks are suitable for preschool or nursery kids because they’re convenient enough to be carried by persons of a small frame, since they don’t need a lot of book or supplies at this age. A backpack with 14 x 10 inch dimensions, and a base of around 5 inches is just right for carrying a notebook, small towel, pencil case, plus lunch box or snacks. Small backpacks that can be converted into trolley bags are another option for when preschoolers need to carry heavy items. Kids of this age also love colorful and vibrant bags, especially those with their favorite cartoon characters. For this age group, parents may want to avoid investing in expensive bags since these are only used for the short term. Elementary / Primary school (5-11 years old): Primary and elementary school kids need a slightly bigger backpack to carry more notebooks and books. For this age group, choose a medium backpack that is sturdy enough for carrying a heavier weight but one that is built with comfortable shoulder straps to reduce burden on the shoulders and back. Middle school / Junior high school (11-14 years old): Most kids are teenagers by the time they reach middle school or junior high school, and this means that they’re usually more independent when it comes to choosing bags. Regardless, it is always a wise idea to invest in a good quality backpack that is renowned for being durable since the school workload for this educational level is more intense. Kids of this age are also more likely to participate in extra-curricular or after-school activities, and they may need to pack extra clothes during these days. High school / Senior high school (14-18 years old): High school students lead very busy lives. For many kids, managing a high school schedule and the demands of academic pressure may mean that organization may take a backseat. For this reason, it’s recommended to invest in quality bags that are big on organization; this means a bag with lots of handy compartments will help high school students stay organized no matter what their schedules are like. There are lots of great school bags that come with numerous compartments inside their bags; better yet if they’re zippered. College / University (18 and above): College kids easily have the most challenging schedules of all. Balancing a social life while meeting notorious academic demands is tough, so they need a bag that’s just as tough. College kids are recommended to invest in heavy-duty bags with a strong structural foundation, and one with generous space inside. They may do well with unisex and professional designs, as well. Additionally, the bags suited for college kids should be equipped with space for a laptop and/or tablet, since they are more likely to use these gadgets more. Having said that, a lightweight school bag is important because gadgets already tend to weigh a lot. Finding the right school bag for various ages doesn’t have to be rocket science. It all comes down to choosing the right size specifications and functionality to cater to each of the age groups’ needs. Size - School bags come in all sorts of sizes to cater to students of every age. Younger students will need a smaller backpack, while teens and college students will need bags with generous capacities. Check the bag’s size by reading up on its measurements or its capacity indicated by liter. This will tell you all about what the bag can carry, and if it will have extra space for your other essentials. Students using tablets or laptops should also take into consideration the size of the padded pockets for these gadgets; some bags only cater to 13-inch tablets while others can hold a 17-inch laptop. Ergonomic design - Books and notebooks weigh a lot on their own, but if you had to carry all that and gadgets, then you could be sacrificing your safety if you don’t get a school bag with ergonomic features. Look for thick, padded straps; an S-shape, or a weighted design to help you keep your balance while improving your posture even if your load is heavy. Compartments - Students need a lot of supplies and equipment for school. There are calculators, notebooks, pens, keys, phones, and other personal essentials that can easily get lost in a bag without proper compartments. This is why students should use bags that have at least two or three compartments inside. Bonus features include front zipper compartments and side pockets for water bottles. Students no matter what age lead demanding lives. Almost everything else goes in the backseat, because your mind is occupied with grades, exams, and projects. Not to mention the extra-curricular demands and social life that comes with high school and college. But that’s part of student life. When you have everything you need to successfully accomplish your academic tasks, that’s one less thing to worry about. Having the right school backpack will free up your mental resources to allow you to focus on the bigger things in your life. Bags that have been specially designed for school needs in various levels may cost the same as other backpacks, but without careful thought, you could be spending money on a bag that will only give you problems in school. School bags will continue evolving the years, but these bags are definitely some of the best out there. As you can see from the price points, there’s no need to shell out a lot of money to find a good quality school bag. In fact, you’ll make an even bigger mistake if you buy a backpack that’s cheap but ill-fitted for your school needs. You need to make smart choices for school; why not start with your bag?